The goals of Liberal Reform are some of the most simple and refreshingly put. We advocate four-cornered liberalism. But the corner that is most frequently misunderstood by so many in the party is that of economic liberalism. It is seen by many to be in opposition to the cause of an equitable society that our party strives for, and indeed many of us can attest to being veiledly accused of being “Tory-lite” when we advocate it. It doesn’t help either that there are some who have been treating the election result as some sort of Pyrrhic victory for the left of the party, delighting in what they perceive to be a decisive end for economic liberals in the party. But the truth is that economic liberalism is not opposed to the views of those who self-define as “social liberals”, and that social liberalism is not contradictory to economic liberalism. Economic liberalism takes the liberal idea of the state doing less rather than more, and applies it, perhaps unsurprisingly, to the economy. It generally prefers that the government intervenes less in business, and taxes people less, and is prudent with its spending. This does not mean, however, that we believe in slashing and burning welfare, or education, or the NHS. We still believe in public services, and we still believe in an equitable and more just society – and we think that economic liberal means can achieve these socially liberal ends. Take tax and spending, for example. Economic liberals want a state that yes, provides or facilitates services which are broadly defined as “public goods”, and which the market on its own would only cater for in an unfair way. But once those are covered, we want to ensure that further money spent on other things is spent transparently, and that any overspends are given back to the people, starting at the bottom before anyone else, in the form of tax cuts and personal allowance increases. People are freer if they can spend more of their own money. And while it is not the only measure that will help, giving the very poorest more of their own money to keep helps to combat poverty. We are open to ideas involving the private sector and the market, and recognise that the private sector is the driver of our growth and our economy. Take, for example, housing. Whether people like it or not, this country is facing a housing crisis that the private sector needs to be encouraged into playing its part in solving. Market solutions are not to be shied away from, and the market is not some evil colossus. We as liberals will not waver on our principles of individual rights, which include labour rights, but as economic liberals, we also believe that small businesses are generally helped by having less hurdles to jump over, less bureaucracy, and less paperwork to fill in. What we are clear on is that we think the government should do less, full stop. But we think that the fewer actions it does take must be more impactful in terms of how they deal with poverty and inequality in our society. As is natural for a burgeoning movement, people have healthy differences on the ideas we should prioritise. Personally, I believe in shifting the burden of public spending away from income taxation to wealth taxation a little, for example, so that the intervention the government makes does not discourage success but rather seeks to level entrenched wealth and privilege. More through less. Building more houses and social houses through tax breaks, infrastructure spending bursts, and planning changes, for example, so that we can take the pressure off housing benefit and stop the subsidising of enormous rents. More through less again. Many have tried to imply that this four-cornered liberalism has been shown not to have worked and to be unpopular by the result we achieved under one of its proponents, but this is patently not true. Indeed, the reason we fail to capitalise on support and strike a firm ideological position is because we are often seen to have contradictory or changing views by the public. Well, this must stop. This can stop, by adopting the four-cornered liberal approach that we espouse, and marketing ourselves as liberal with no caveats. We are no less radical or forward thinking in our views than anyone else in the party. We simply believe that the goals of social liberalism and the methods of economic liberalism can be combined to create a progressive and solidly, goldenly liberal future for this country. This is surely what we must fight for. 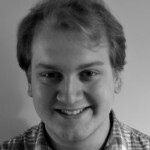 Harry Samuels is a Classics student at New College, Oxford. He is currently the Treasurer of Oxford University Liberal Democrats, and a strong proponent for reconciling social and economic liberalism to make gains at the next election.